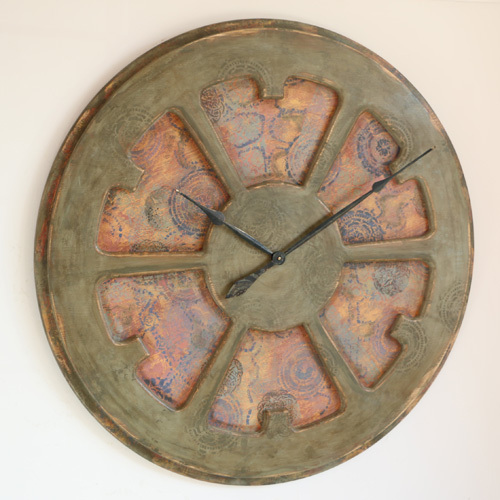 Boho is a massive artistic timepiece inspired by the vibrant colours of bohemian trend in Interior Design. It will certainly decorate your living space in the most unusual and unconventional way. 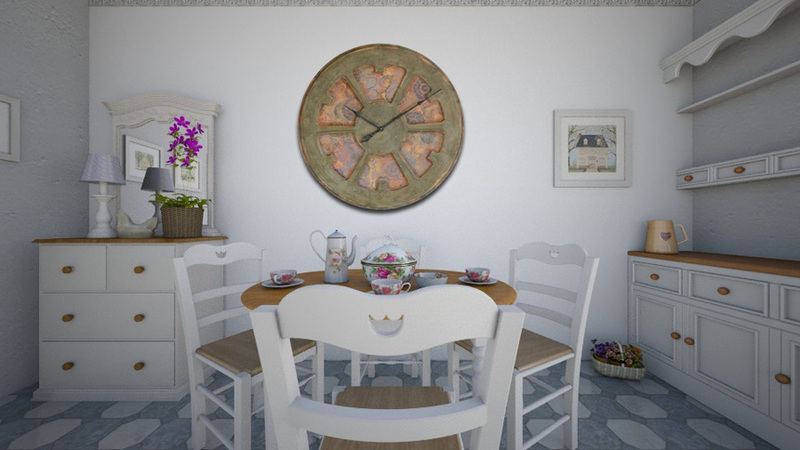 The clock face with its distinct character looks amazing on a hand painted background. With a total diameter of up to 120 cm Boho will bring vibrant and refreshing feel to you room. “Boho” is a large artistic timepiece inspired by the vibrant colours of bohemian trend. 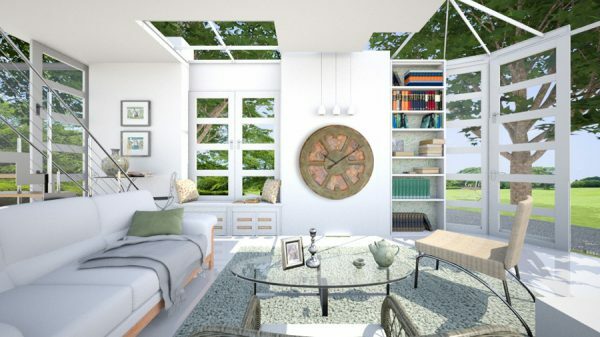 It will certainly decorate your living space in the most unconventional and beautiful way. Are you looking for something different to fill that big empty wall space? Does your living room look boring or lacking uniqueness and character? 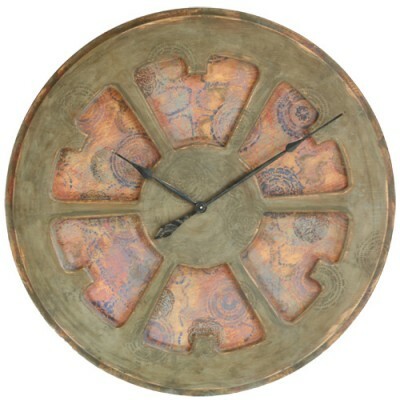 Have you considered a large centrepiece clock that could differentiate your place from the rest of the world? We cut the clock face from a single large pine panel. Using wood as material adds amazing natural look and character. Many of those sophisticated timepieces display classic Roman Numerals with rich background. Other have more minimalist skeleton design. The mechanism is the most powerful Quartz sweep movement. It needs a single C-Cell battery and it should work continuously for over 9 months. When you receive the clock please watch this short demonstration Youtube where I explain how to set the time. 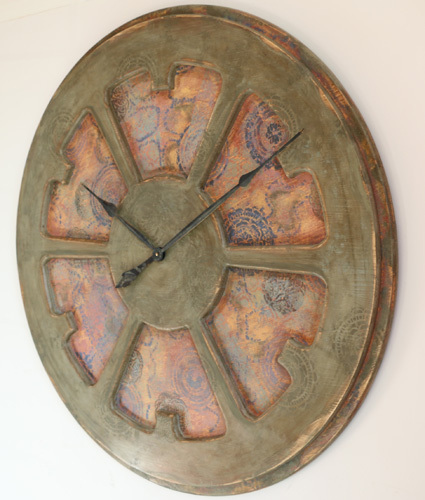 Our artistic wall clocks are very attractive and luxurious pieces of art that will come to your mind when you need to fill large empty wall space. Every single handmade piece from Peak Art is absolutely stunning and you can only find them in the most prestigious environment. Some of our customers mount those clocks in lavish office space or extravagant penthouse apartment. You can mount them in any room in your house as long as its not too close to any heat or moisture sources. Don’t follow the old habits, challenge accepted trends and make those extraordinary timepieces from Peak Art the new fashion. 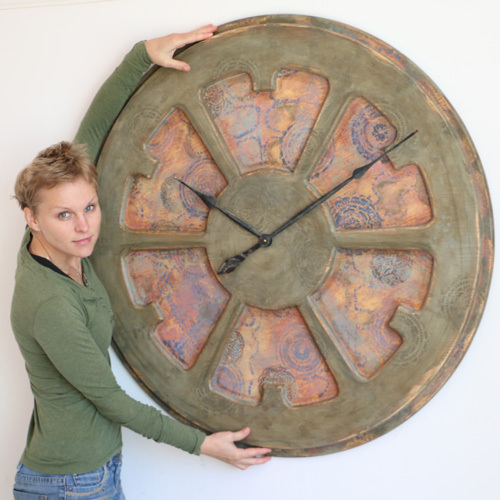 We are leading Google Search for Large Handmade Statement Clocks because it was Peak Art that first came up with this remarkable idea in Interior Design.